Tri axis adjustable handlebar reduces fatigue and delivers comfort for all riders thanks to unlimited adjustment possibilities. 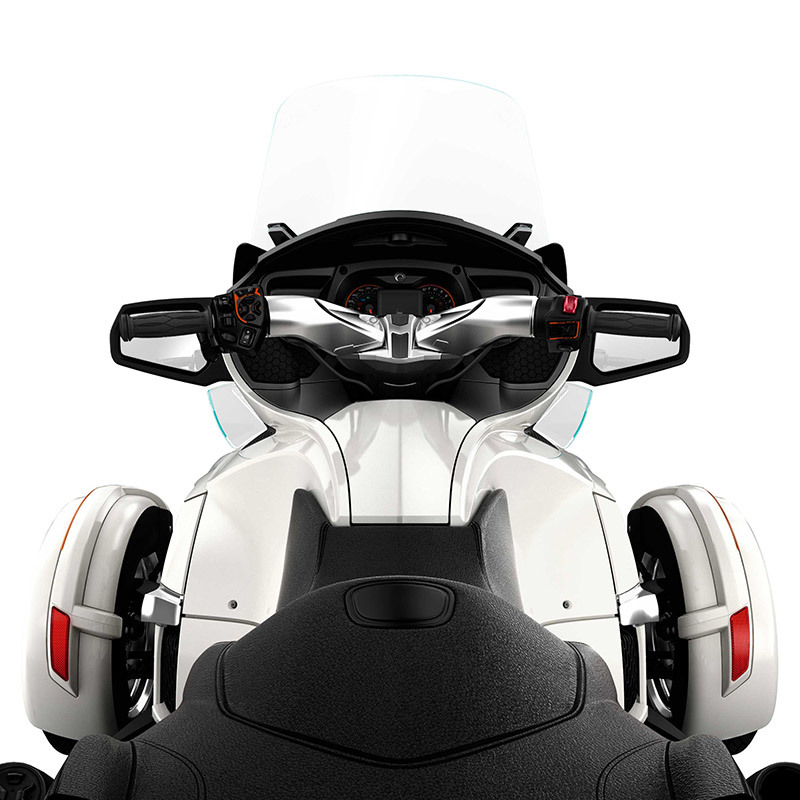 State-of-the-art adjustable handlebar reduces fatigue and delivers comfort for all riders thanks to unlimited adjustment possibilities. 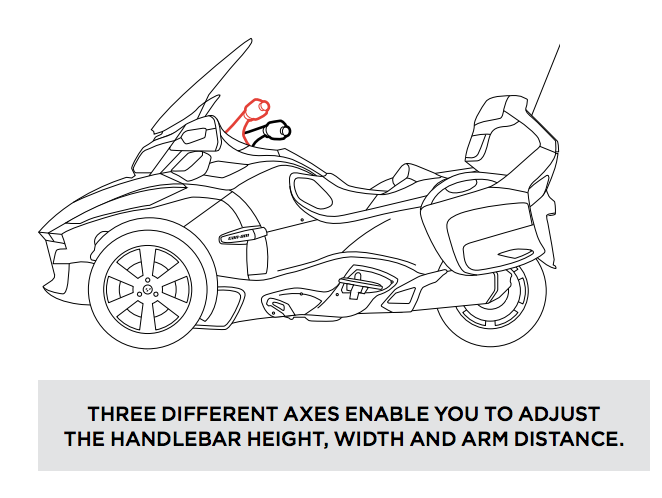 Three different axes allow you to adjust the handlebar in terms of height, width and arm distance. 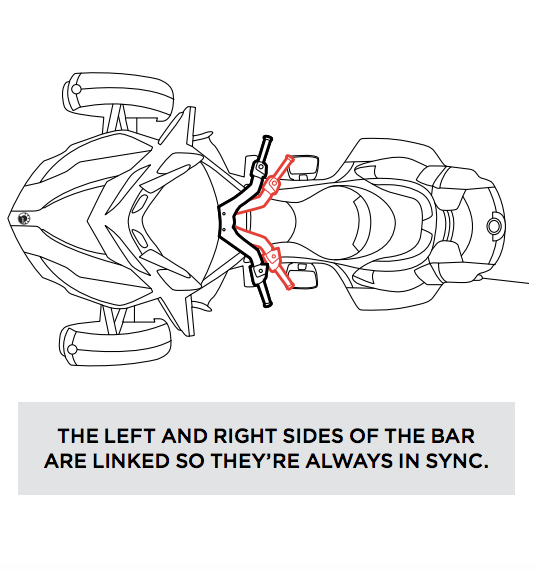 Left and right bars are linked together and rotate simultaneously during adjustment. Handlebar reuses existing production handgrips, comodo, electrical and clutch cables, and sits directly on the stock steering column. GPS Support for the Tri Axis Adjustable Handlebar (219400616) sold separately.